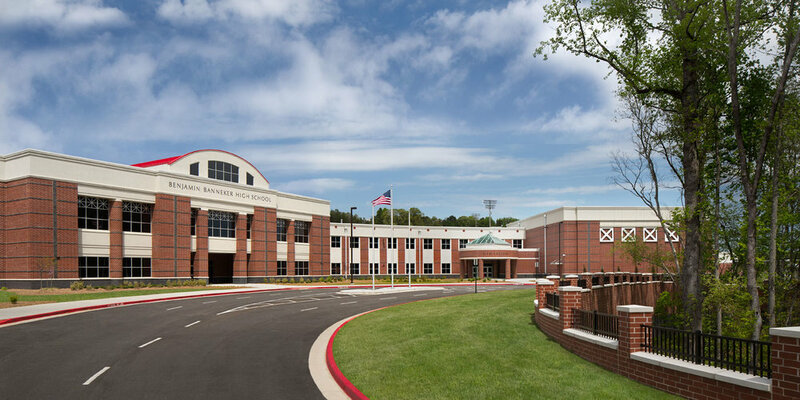 Banneker High School was developed with six distinct phases to allow the new school to be constructed over a sixteen month schedule while keeping the existing school open, operational and safe at all times while phasing in the new school. In addition, the sports facilities were all left operational during the construction with access being provided in the phasing plans. The final conversation was accomplished over the summer break, after demolishing the existing school allowing for uninterrupted use of the facility by the community, staff and students.